While we at Horst do our best to ensure that challenges are discussed and addressed up front, there are always lessons to be learned from our generations of experience working on hundreds of projects. You WILL encounter problems during the process. Prepare for the land development approval process. The right team makes all the difference. Ensure that your team is capable of performing the work efficiently and effectively. 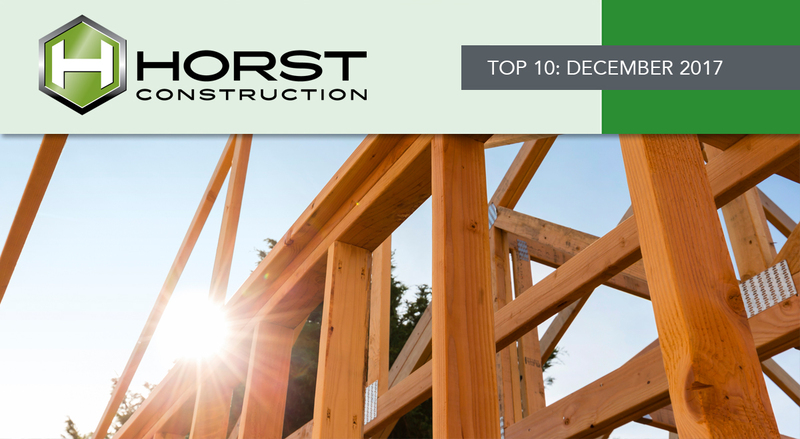 That’s why building solid relationships with high-quality subcontractors and other experts is a priority for Horst. Take note of lead times. One of the most common struggles is handling the arrangements for necessary materials and equipment. Lead times can, at times, be surprisingly long; therefore, orders should be placed as soon as appropriate. Project scheduling is a key component to success. That means having a thorough and detailed schedule built, as well as holding everyone to the schedule. Most importantly, make sure the schedule is well-communicated to the team, including subcontractors. Stay true to our values, no matter what. Sometimes, the right way is not the easiest way, nor is it the most convenient. Horst is proud to be a values-based organization—it is one of our cornerstones to ethical behavior. Keeping the lines of communication open, with not only the Owner and Design Professional, but also with all subcontractors and vendors, is critical to creating a reliable, quality-driven outcome. Sometimes Mother Nature has other plans. The weather is one factor that even the best contractor cannot predict. For this reason, it is important to plan meticulously, but have flexibility built into your plans for Mother Nature. For more information regarding management on your next project, contact Jake Moyer at 717.581.9967 or email JMoyer@HorstGroup.com.